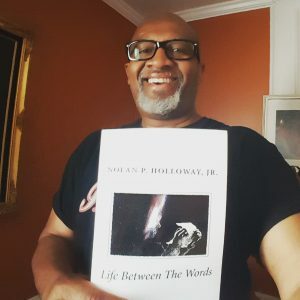 World Poetry Celebrates a Special Book Launch with Nolan Halloway ! Ariadne’s Notes: On November 2, 1:10 PM, PST, The World Poetry Café with host and producer, Ariadne Sawyer and super tech and peace poem reader, Victor Swartzman; celebrated Nolan Holloway with a special book launch of his new book Life Between the Words with philosophical poet and author Nolan Holloway from Georgia, USA! A balanced mixture of spirituality,personal loss, tributes to family members and racial inequalities , this unique book offers us all the power of hope. Peace poems by Del Gachallan and special poet Jon Billet with a powerful poem by Mbizo Chirasha- Zimbabwean Poet. Music by Leadbelly and pianist Lazlo Gardony who will be calling in next Thursday as well as Creative Rocks Tips and a special story dedicated to Tom the cat by Sharon Rowe from her Big Bessie Stories completed the show. 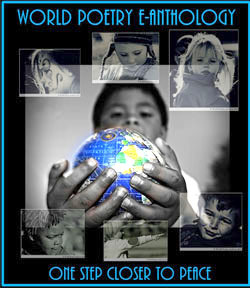 Please put in the name of the World Poetry Café so that the money will go into our account. CLICK HERE FOR THE SHOW! You can now download. We are getting famous with our special book launches and Nolan’s is one of the best! I am a writer of poetry currently living in Stone Mountain, Georgia. My interests range from poetry to sports. My dreams are my words are shared across the globe to touch and share with everyone who will read them. Please get in touch with him through the links below. Also, you can find his books on amazon. com. Precious things are lost never to be seen again Swept away in the wind…..
Happiness is the reward when sadness is endured When it is passed through…..
By Nolan P. Holloway, Jr. (C) All rights reserved. This entry was posted in General and tagged about.me/NolanHolloway, Author Sharon Rowe, Braitwaite and Katz, Del Gachallan, http://www.coopradio.org/content/world-poetry-caf-el-mundo-de-la-poesia-238, International Peace Award Ariadne Sawyer, Jon Billet, Katherine Growdon, Lazlo Gardony, Mbizo Chirasha- Zimbabwean Poet, Neamat Haidari, The Big Bessie Stories, Victor Schwartzman on November 3, 2017 by Ariadne.